Visit our Cellar Door, nestled among our vineyards. 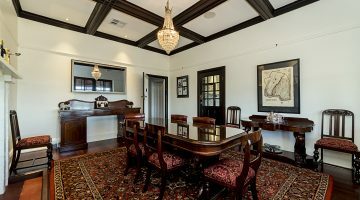 The beautiful building provides great spaces to give you the experience you desire – from a casual tasting at the bar which looks out over our 1894 Command Vineyard, to an in-depth hosted tasting in one of our private tasting rooms, or relax and enjoy a glass of wine with a local produce platter. 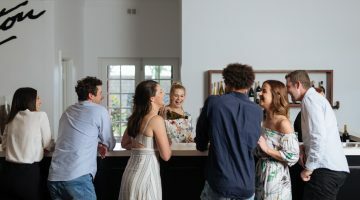 We offer a number of in-depth tasting experience for those who want to learn a little more about Elderton and our wines. Check out upcoming events at Elderton or around the country. Directions to our Cellar Door, nestled in our Nuriootpa vineyards. Enter via 3 -5 Tanunda Rd or New Rd and follow the signage to Cellar Door. 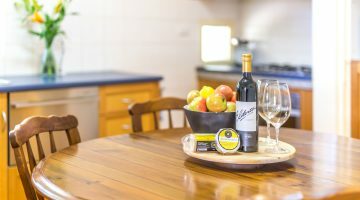 Elderton Wines' Guest House is located at Nuriootpa, in the heart of the Barossa Valley. The Ashmead family have enjoyed hosting many visitors over the years, and now offer Guest House accommodation to the public. 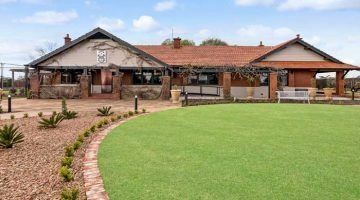 Situated only a short walk from Elderton's Cellar Door, this is a great base for any Barossa visit. 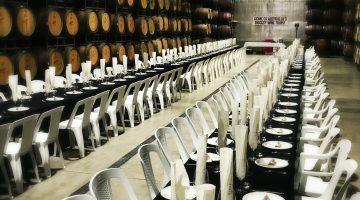 Elderton Wines is a second generation, family owned winery which offers a unique event and meeting space, only 1 hour from the Adelaide CBD. 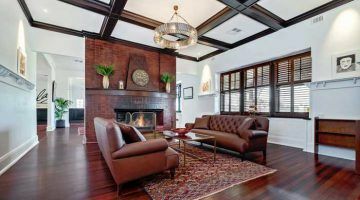 The Elderton Cellar Door is set in a grand, sensitively renovated 1918 Gentleman’s bungalow. Elderton places emphasis on quality wine and food in a spectacular location. The Nuriootpa Wine Trail allows you to explore the wineries of Nuriootpa via an easy to follow map.